Update: The meeting place has changed! It will be the Barringer High School parking lot west of the cathedral across Ridge St. There will be a pilgrimage to the Cathedral Basilica of the Sacred Heart. It will proceed through Branch Brook Park, known for its cherry blossoms, to the Holy Doors of Mercy at the cathedral. 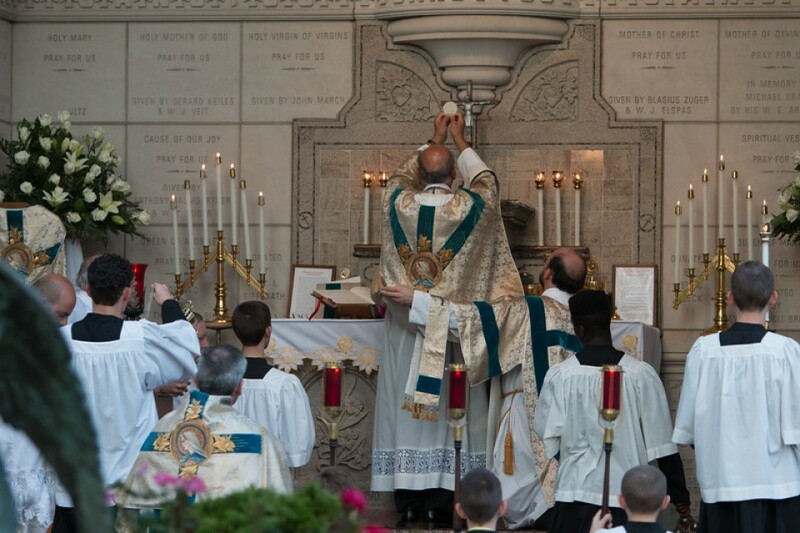 The pilgrimage will culminate in a Solemn High Mass in the extraordinary form offered at the main altar. Do not enter the Cathedral before the processional cross at 9:30 am. The pilgrims will then walk through the Holy Doors of the Newark Archdiocese Cathedral – “The Basilica of the Sacred Heart” in Newark, NJ, attend the Sacrament of Penance – and then attend a landmark Traditional Mass – the first at the High Altar since Vatican II – and receive a Plenary Indulgence !